Victory has two playgrounds, one for the new entrants and one for the older kids. The one for the new entrants is small and the other one is much bigger. The new entrants one has a plastic slide, two metal bars you can slide down, small monkey bars, a bridge and a small fireman's pole. The bigger playground has a big metal slide held up by platforms, it has a tunnel connected to metal bars you can climb up, there are ropes you can climb on. Connected to that is a huge swinging tire held up by wooden poles and connected to the ropes are two rope swings. 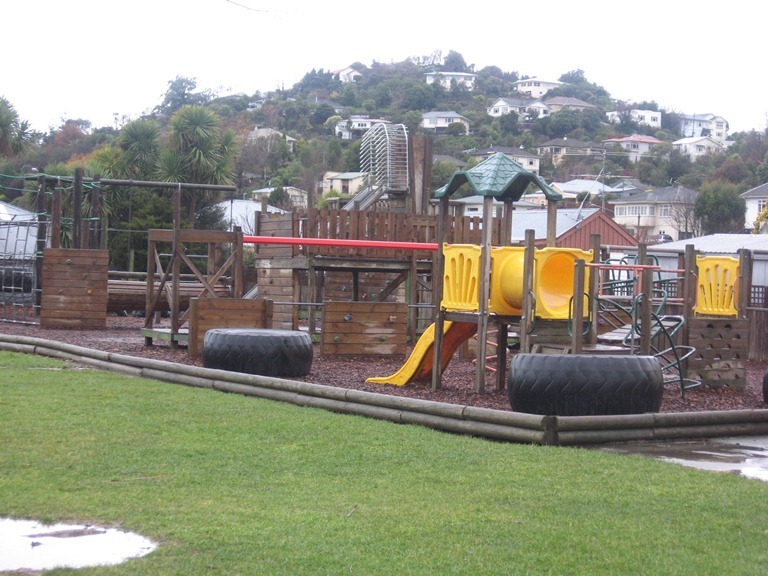 The playground usually changes after a year and a half.